Day 1: Seville > Jerez Arrive in Seville. While the crew transfers your luggage to the train, visit the capital of Andalusia, boasting the most extensive historic city centre in Spain, home to the Gothic Cathedral, its bell tower named Giralda, the Royal Alcazar and the General Archive of the Indies. 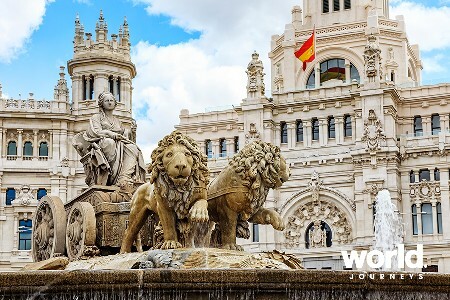 After having lunch at the hotel, we will enjoy a sightseeing tour of the city and cross the famous Plaza de Espana before boarding the Tren Al Andalus. Welcome cocktail onboard, presentation of the crew and accommodation in the suites. Dinner on board as we head to Jerez where we will spend the night. Day 2: Jerez Just as every day, we begin today with a delicious buffet and a la carte breakfast. Then we will visit a wine cellar in Jerez. Before lunch we will enjoy the show "How the Andalusian horses dance", famous equestrian ballet with Spanish music. Lunch in Sanlucar de Barrameda overlooking the salt marshes of Donana National Park and river Guadalquivir's mouth. 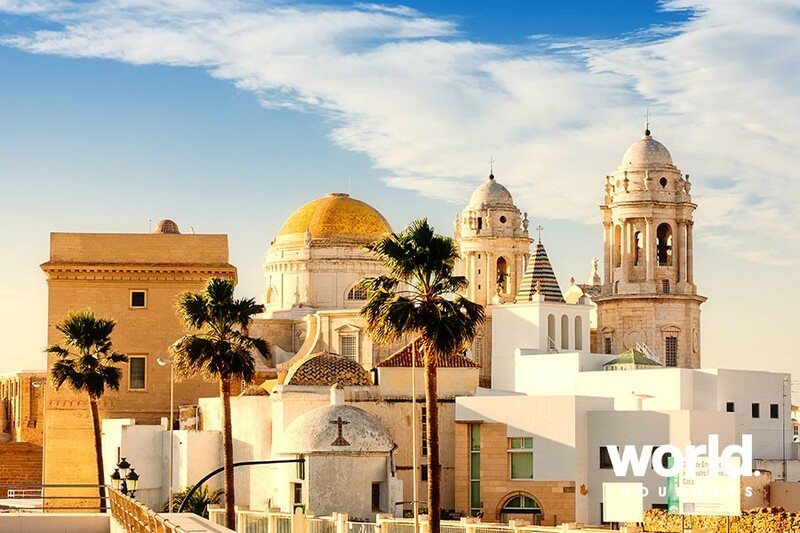 We will then walk around Sanlucar de Barrameda, from where our luxury coach will take us back to Jerez de la Frontera, one of the most iconic cities of Andalusia. Back on the train and dinner onboard. Overnight in Jerez. 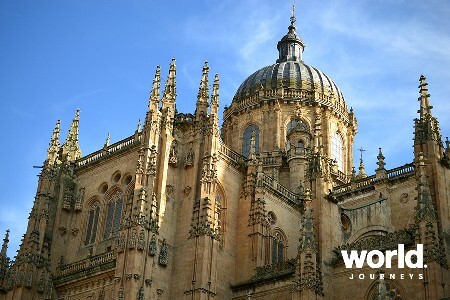 Day 3: Jerez > Cadiz > Ronda Our bus will take us to Cadiz, popularly known as "Small silver cup" and considered one of the oldest cities in Europe. 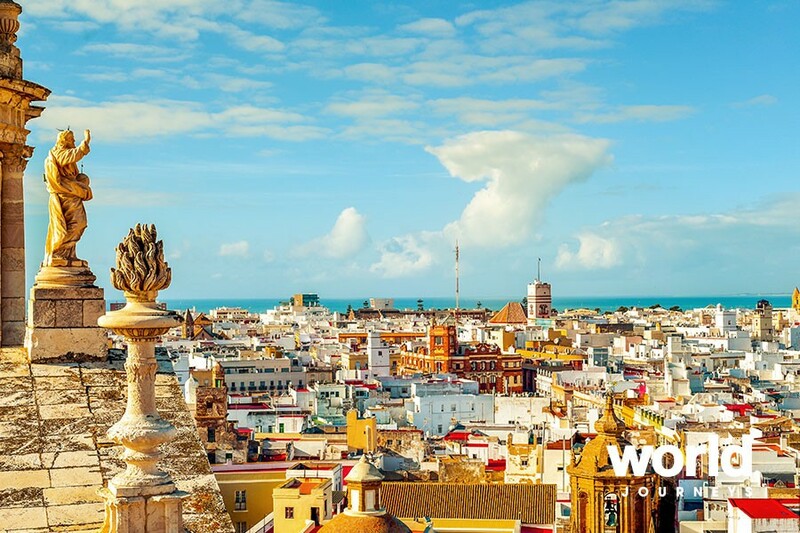 Tour and free time to venture on our own into the charm of Cadiz. 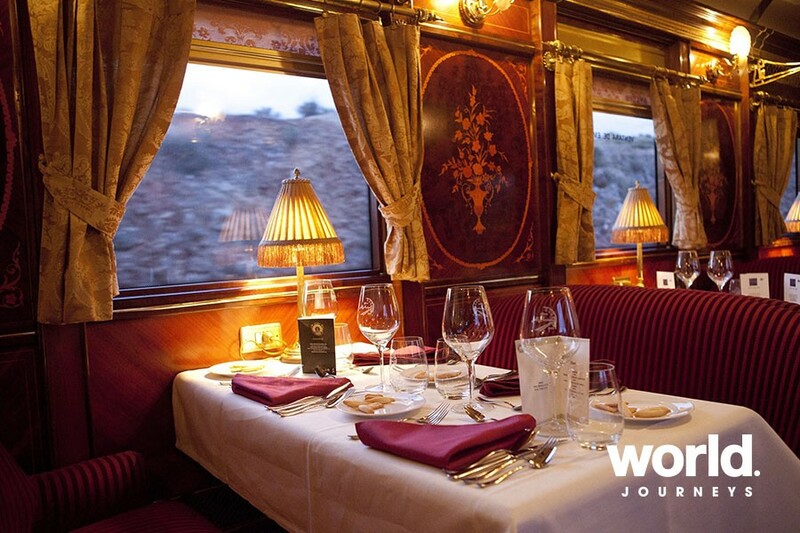 Lunch and journey on our Tren Al Andalus heading to the stunning city of Ronda, where we will have dinner and stay the night. 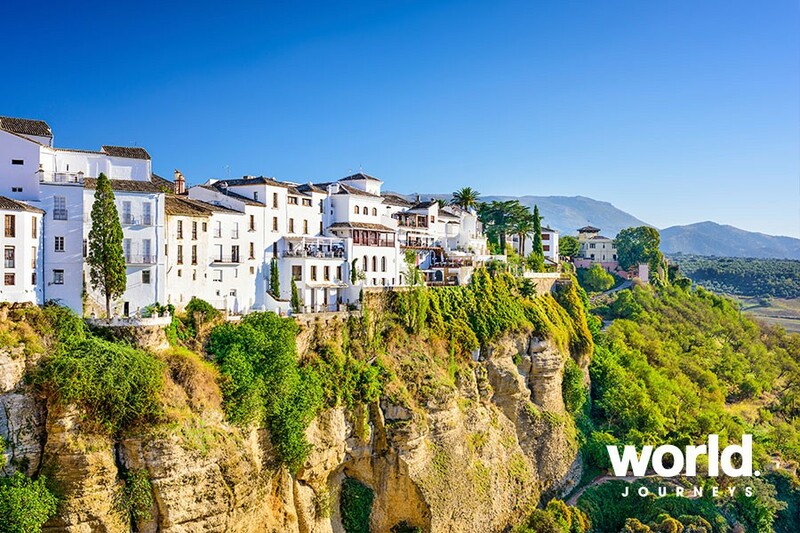 Day 4: Ronda > Granada After breakfast, tour of Ronda and its breathtaking location, set on a plateau cut by the deep gorge Tajo de Ronda, through which river Guadalevin runs. Free time before lunch; return to the train which will head towards Granada, a city nestled on the foothills of Sierra Nevada. Dinner and overnight in Granada. 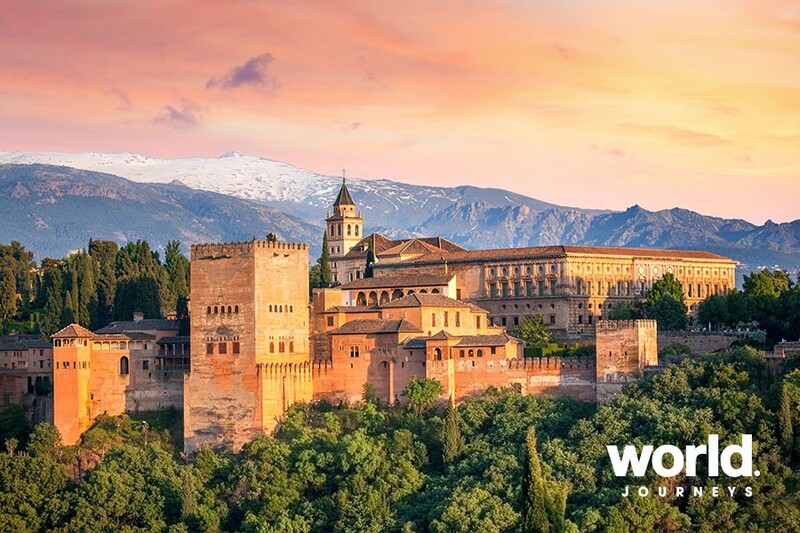 Day 5: Granada We will spend the morning touring the Alhambra, the most visited monument in Spain, a rich palace complex that housed the Nasrid rulers from the Kingdom of Granada. 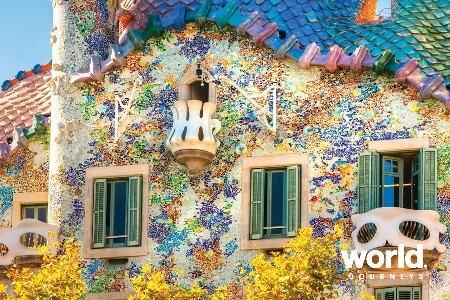 After lunch we will have free time to visit this beautiful city at our own pace. 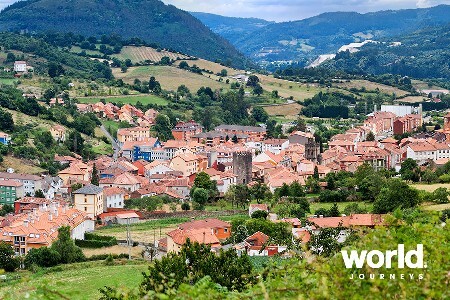 As the night falls, the whole town is wrapped in a magic spell that you will enjoy over dinner. Night in Granada. 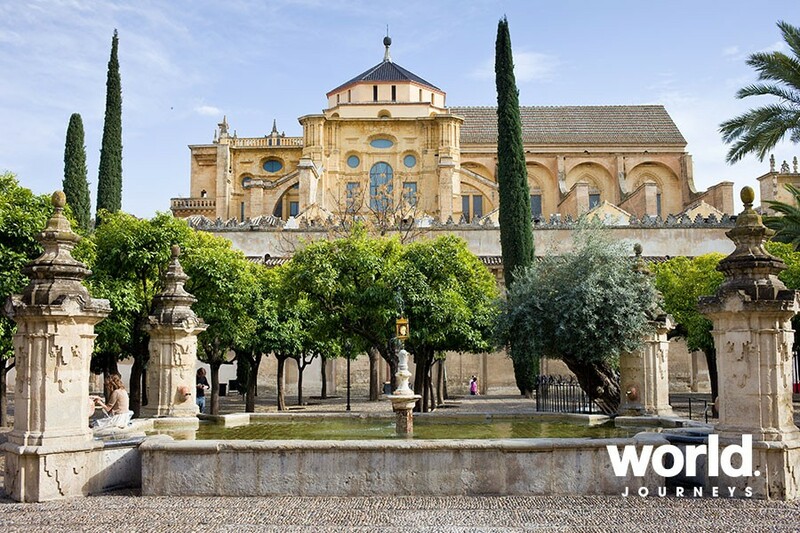 Day 6: Granada-Linares > Baeza-Cordoba Morning journey on the Al Andalus to station of Linares-Baeza, from where our coach will take us to visit the Renaissance towns of Ubeda and Baeza, both listed as World Heritage Sites by UNESCO. After lunch, we will return to the train to begin our journey to Cordoba. Dinner and overnight in Cordoba. 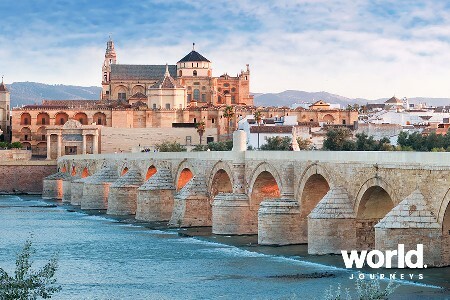 Day 7: Cordoba > Seville After enjoying our last breakfast onboard, we will visit the former capital of the emirate and the medieval caliphate of Al Andalus, once the largest, most educated and opulent city in Western Europe. Back at the train to enjoy our last lunch while Tren Al Andalus takes us to our final destination, Seville, where the journey ends. Fares are based on reservations made at least six months in advance. 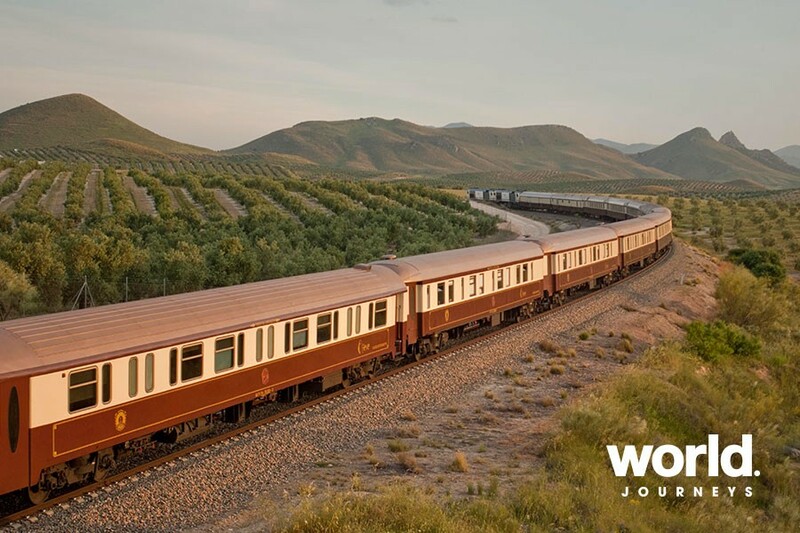 Higher fares apply for bookings made within six months of departure - please contact World Journeys for details. Single pricing available on request. Triple is available in Superior Suite only - price on request.